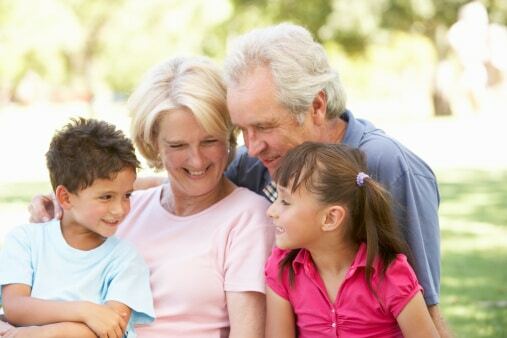 grandparent access | | The Draper Law Firm, P.C. In certain circumstances, a grandparent can file suit for “possession and access” with a grandchild. Not every grandparent has a right to access to a child. Texas law presumes that the parents have the right to make the decisions about whether or not a grandparent sees a grandchild. Grandparent access is not the same as grandparents filing for conservatorship or to adopt a child. In order to obtain possession and access rights, a grandparent must prove: (1) at least one of the child’s parents’ rights have not been terminated; (2) the child’s physical health or emotional well-being would be significantly impaired if the grandparent’s access or possession were denied; (3) the parent intends to completely deny the grandparent from having access to the child; (4) the grandparent is related; and (5) the child’s parent who is the grandparent’s child is unavailable. If the child is living with a parent, there is a “fit parent” presumption. This essentially is a presumption that the parent is acting in the child’s best interest by refusing to allow grandparent access. Thus, the grandparent must prove significant impairment to overcome that presumption. If a nonparent has custody, many courts have held that grandparents do not need to show significant impairment. To show that the child of the grandparent is “unavailable” as the parent, the grandparent must prove one of the following (1) the child’s parent has been in jail for at least three months before the petition was filed; (2) the child’s parent has been declared judicially incompetent; (3) the child’s parent is dead; or (4) the child’s parent does not have actual or court-ordered possession of or access to the child. Therefore, if your child is in the picture and either parenting the child or legally allowed to parent the child, then you cannot file for grandparent access of your grandchild.